The Internet has made learning any language very easy. The various websites have sections specifically aimed at teaching Mandarin Chinese to new learners. One might struggle with how to learn Mandarin Chinese but it becomes quite easier if utilized the available resources in an optimum way. Today I will introduce you three news websites that offer free online Chinese learning material. So besides choosing your kids a good platform for their online Chinese learning, you can start by yourself too! Read another article showed you why it is necessary for learners of Chinese to have a good Mandarin dictionary, how to choose one. China Central Television (CCTV), broadcasting since 1958, is a Chinese media group with 17 channels plus an additional five channels of different languages broadcast from China and across the globe. They are broadcasted around the world through satellite broadcast and on internet televisions. There are different language option available on the website of CCTV. You can select the option of Mandarin Chinese in order to view the website in Chinese. The CCTV provides a great help in learning Mandarin Chinese. This website has a section named “learn to speak Chinese”. This section has further different sections which cover the different aspect of Mandarin Chinese. Navigating through these sections is easy and entertaining. Every section has series of videos, audios and written material. 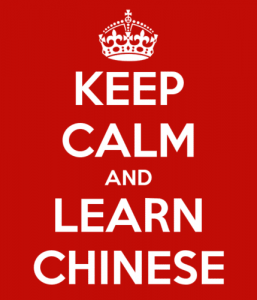 Watching these videos can greatly help in learning Mandarin Chinese. This program not only aroused great interest among viewers to learn Chinese, but also popularized knowledge about the Chinese economy, culture, and tourism. “Learn to Speak Chinese” continues to play an active role in helping the world learn more about China. Similarly, there is another programme called “ Growing Up with Chinese” which is very entertaining, informative and easy to follow. This series teaches 300 most common phrases to teenagers. Depending upon the level of understanding, one can choose the complexity level accordingly. Likewise, there are many other programmes like “Travel in Chinese” and Sports Chinese” that can introduce you to different segments of the society. Similarly, British Broadcasting Corporation (BBC) also provides free online lessons and courses to learn Mandarin Chinese. These courses contain video lessons with audios, games, vocabulary, grammar explanations and exercises. It provides an interactive and effective learning environment. As pronunciation of Mandarin Chinese is very difficult. Tonal variation makes pronunciation difficult for the learner. There is a whole section aimed at teaching correct the pronunciation of Chinese words. Tone games are designed that will provide an insight into Chinese language and help you learn the tones. Moreover, there is a printable guide that deconstructs Chinese sentences and phrases to teach the individual meanings of the words. There is also a section which helps children to learn Mandarin Chinese. It contains very interactive cartoons, shows, games that keep Children engaged in the learning process. Another source of learning Mandarin Chinese is China Radio International. China Radio International (CRI) is a state-owned international radio broadcaster of the People’s Republic of China. 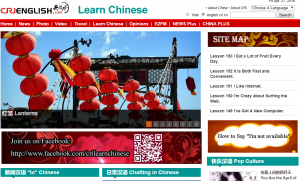 It also provides free online Chinese learning free lessons. There is a vast amount of material that provides a deep insight into Chinese culture. As cultural understanding is very important in language learning process so it aids in effective learning. The Chinese learning lessons introduce you to different situations and dialogues between characters helps in learning new words and expressions. It provides the demonstration of dialogues and explanation of difficult points. In addition, there is an option to repeat the word and listen to it again and again. It reinforces the learning and makes the learning process more productive.